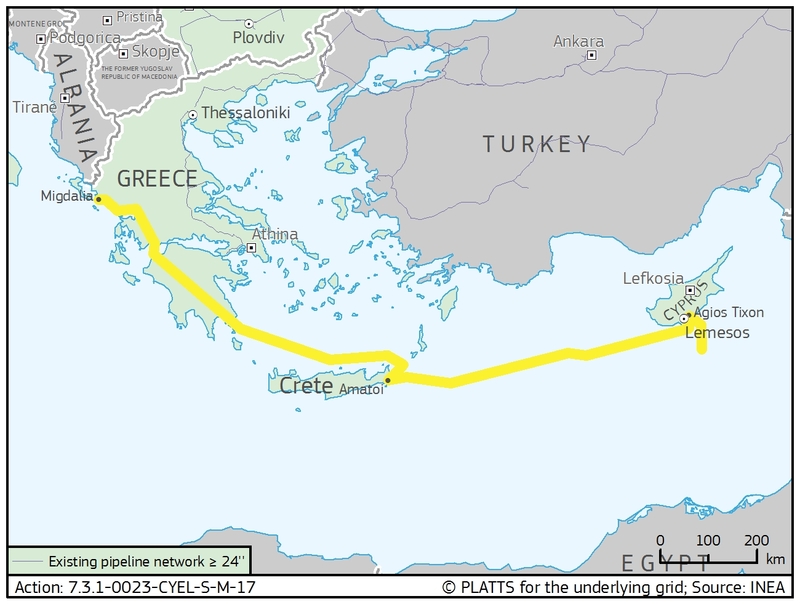 The Action contributes to the implementation of the PCI 7.3.1 'EastMed Pipeline', aiming at contributing to the diversification of gas supply sources and routes to the EU, ending the isolation of Cyprus and Crete, developing new gas production in the Eastern Mediterranean region and facilitating gas exchanges in Southeast Europe. The main objective of the Action is to carry out the studies required to provide the necessary technical inputs for starting the implementation phase of the PCI. The Action will build on the results of the Pre-FEED analysis and include the main remaining steps, leading to the Final Investment Decision for the PCI. In particular, the Action entails detailed design (FEED) and marine survey activities, including all the engineering details for project implementation, as well as permitting activities in Cyprus and Greece. The successful completion of the Action will lead to the identification of the project routing, the definition of the project costs and the technical specifications required for tendering the construction phase of the project, and will result in the submission of the Environment Impact Assessment (EIA) application to obtain the relevant permits from the competent authorities in Cyprus and Greece, paving the way to start of the construction and operation of the EastMed Pipeline.